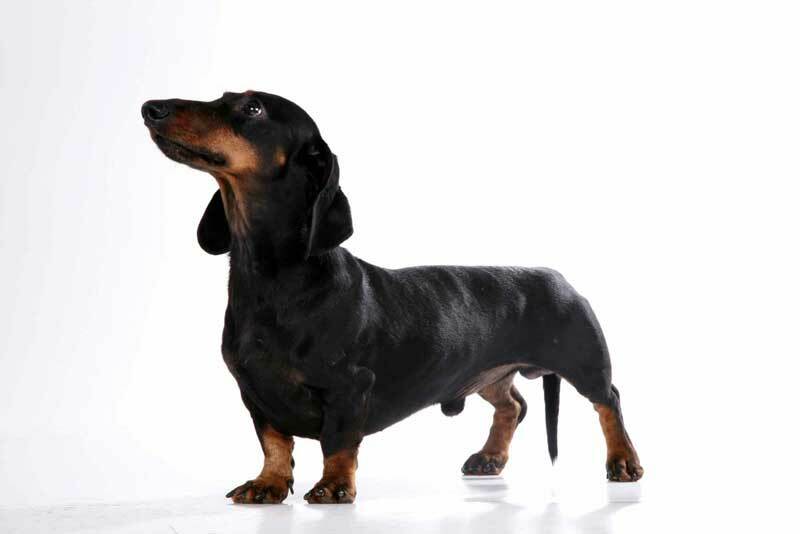 Characteristics of the breed of dachshund, advice on education and care. 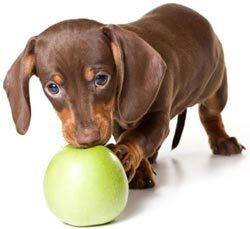 Although the dachshund dog is small and short, but its character combines blind devotion to the owner, an ardent, ardent temperament and unusual tenderness towards family members. Taxus literally bursting with pride and confidence, so the owners of this brave beast is better to monitor the pet, so that he does not get into trouble, got into a fight with a dog several times exceeding it in size. In relation to the animals of the family living in the family, the breed of dogs is well-behaved, but it is necessary to accustom to extraneous animals, in fact, like any other dog. The breed is normal to the guests, but will definitely meet them with barking bark. In order to bark less, you should take care of enough time for walking. Enough about one hour a day to allow excess accumulated energy to go outside through physical exertion, and not through barking or petty pranks. Стандартные - до 9 кг. Weight: Standard - up to 9 kg. Miniature - from 4 to 5.5 kg. Rabbit - 3,5 kg. Стандартные - от 35 см. Миниатюрные - до 30 см. Кроличьи - до 30 см. Height: Standard - from 35 cm. Miniature - up to 30 cm. Rabbit - up to 30 cm. Чёрно-подпалый, мраморный, рыжий, коричнево-подпалый и т.д. Color: Black-tan, marble, red, brown-tan, etc. 14-17 лет. Lifespan: 14-17 years. XVI век. Date of birth of the breed: XVI century. Группа 4: собака-компаньон и той-породы. Group FCI: Group 4: companion dog and toy breed. Секция 1 : таксы. Section FCI: Section 1: Taxes. до 100$. "With hands": up to $ 100.
от 100$ до 200$. PET-class: from $ 100 to $ 200.
от 300$ до 800$. BRID-class: from 300 $ to 800 $. от 800$ - 1000$. SHOW-class: from 800 $ - 1000 $. 6-8 лет. You can engage the child with: 6-8 years. такса по прежнему используется охотниками, но чаще выступает в роли члена семьи. 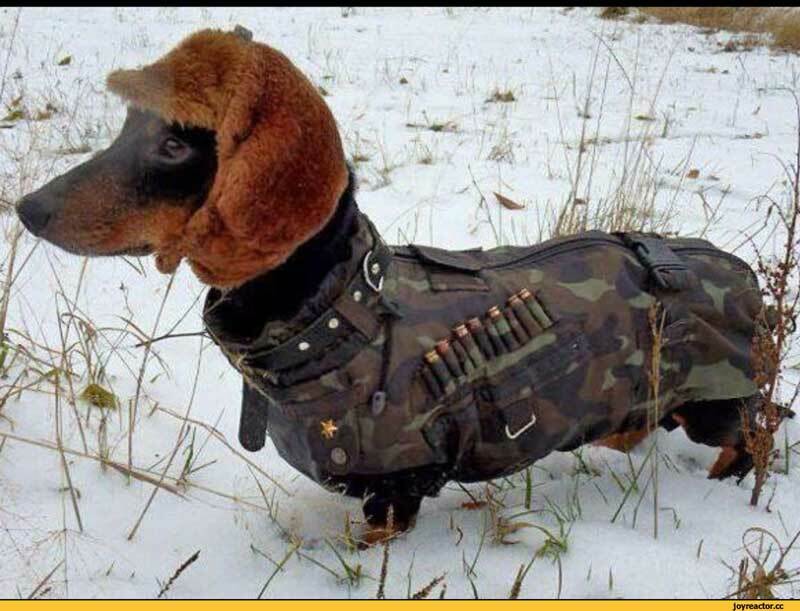 Where it is used now: the dachshund is still used by hunters, but more often acts as a member of the family. выше среднего. Need for activity: above average. около 1 часа в день. Duration of the walk: about 1 hour a day. прогулки, игры. Intensity of walking: walks, games. 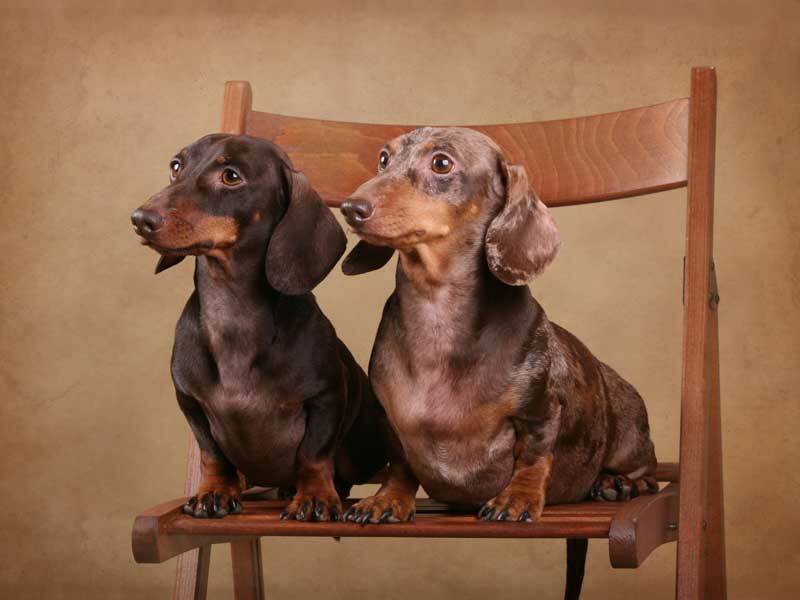 Owners of the breed as one speak about the amazing, rare sense of humor dachshund. Affectionate and gentle with all members of the family. An excellent breed for a gift to a child. Can be aggressive towards other dogs, so the owner must be moderately strict. Train dachshund, although not difficult, but it will take a certain amount of perseverance. All those who like to walk for a long time. Families with small children. It is better to follow their communication. The nature of the dachshund. Who will approach the breed? There are rates of different sizes: standard, miniature and rabbit. But not depending on their size, they are all the same in nature. 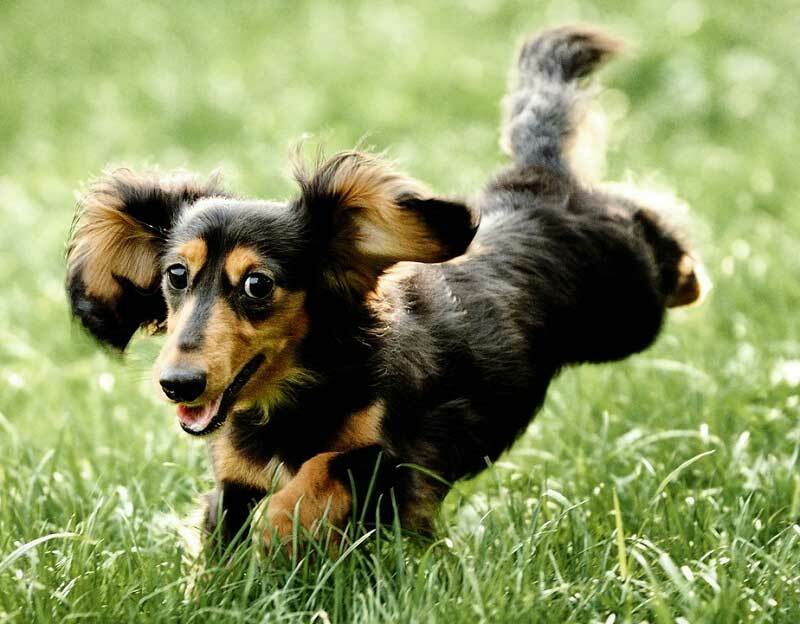 Dachshunds are self-confident, brave, fearless dogs that feel big and strong. There is a case when one individual of the dachshund rushed to the bear, defending his masters. Alas, the animal did not survive, but it saved the owners. For those who are going to take a fee, it means that the hot temper of the breed should be adjusted so that the dog does not rush to the dogs passing by. Also, you should take care of sufficient amount of walking, so that excess energy finds an outlet in a peaceful way. 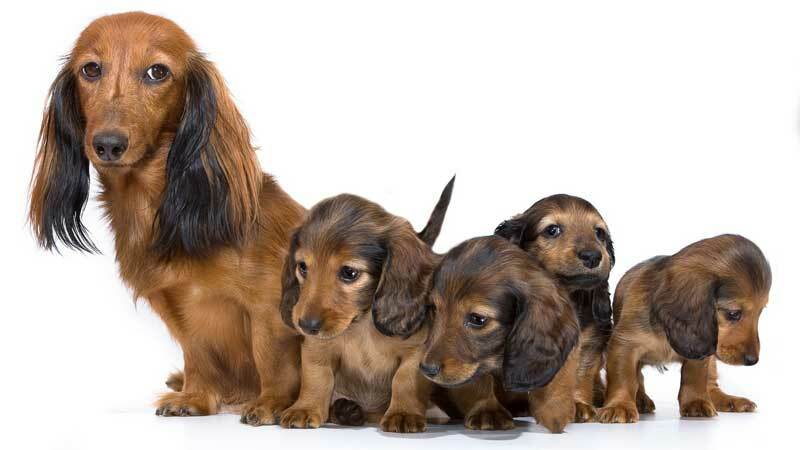 The dachshund can live practically in any conditions and in a family with any number of people, at least with one master. The only thing the breed needs is in a warm place to dwell (not on the street) and in a loving host. They may even be a child of 6-8 years old, who was given a puppy dachshund, since care and education behind her is really not a difficult process. By the way, the huge advantage of the breed is the life expectancy, equal to 14-17 years. Dog beagle is playful and active. It will be an excellent choice for a growing child or runners. Chihuahua dogs are small and fragile, but their modest size compensates for the inexplicable self-confidence. Jack scattered the terrier - a hurricane of energy. Walking it and getting tired physically is not easy, but if you are an active person, then you will be ready to become your partner in sports. 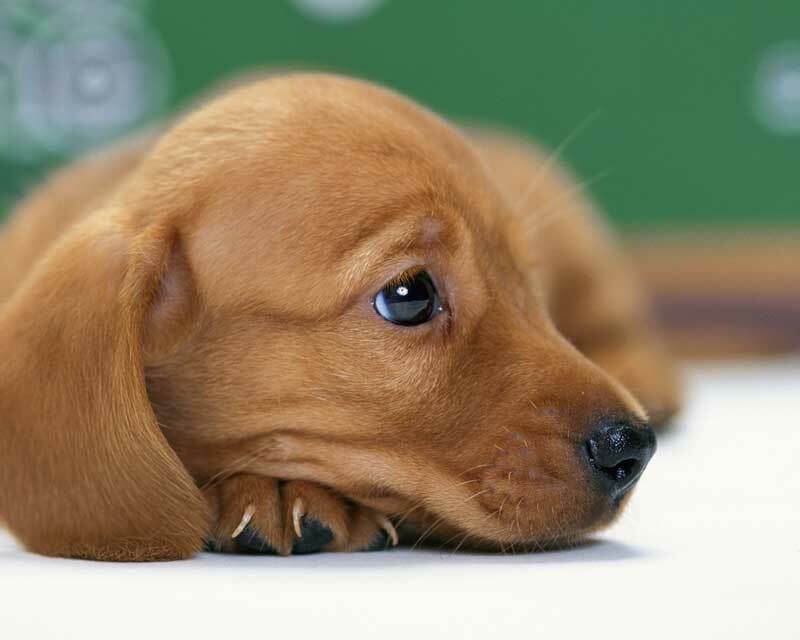 Small dogs are very popular, because most people need not so much a defender as a friend. In the article on the link you will learn about all the smallest breeds of dogs in the world. So far, the debate over the time of the birth of the breed has not subsided. Perhaps the ancestors of dachshunds appeared in Egypt, where archaeologists found images of short-legged dogs carved into stone. 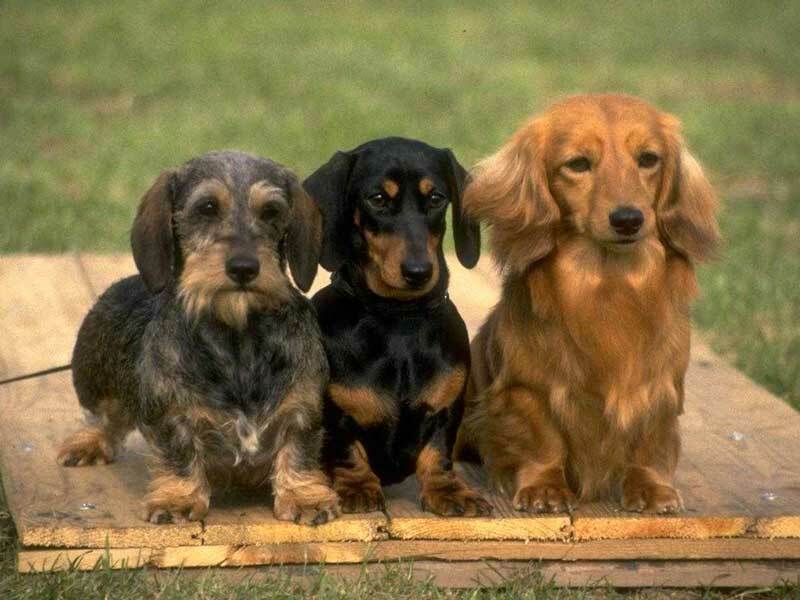 Since the XVI century, the formation of a modern dachshund began. Hunters appreciated the advantages of a short-footed dog in the normal hunting, because she could freely penetrate the prey in the narrowest passages. In addition, hunting was an inexpensive pleasure, and the content of the little dog did not require a lot of money, which was important at that time. The first breed standard was adopted in 1870. Until this time, the owners were engaged in breeding based solely on personal preferences and sympathies. In Russia, the tax rate fell, approximately, in the 18th century in the 1930s. By 1900 the first club of dachshunds and fox terriers was created, although it was not popular, and two world wars significantly reduced the number of individuals of the breed. 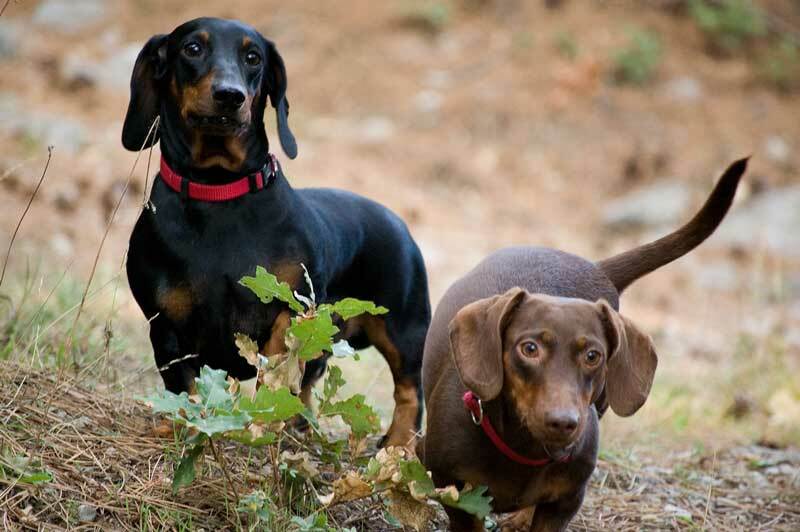 Despite all these adversities, in our time dachshund is one of the most popular breeds of dogs, serving people less often - for hunting, and more often - as friends of the family. Maintenance and care of the dachshund. 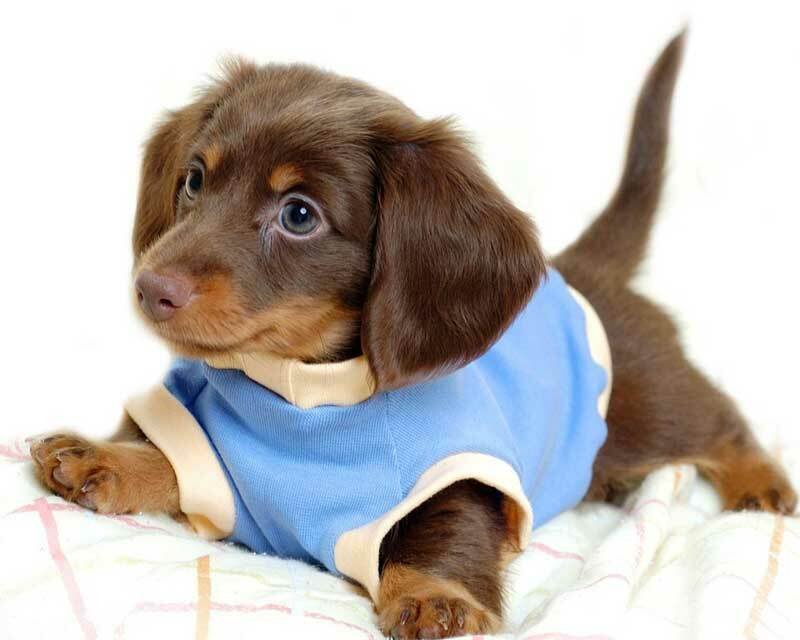 Like any dog, a puppy or an adult dachshund should be vaccinated. Before vaccination, you can take the puppy out into the street, it even needs to be done! But be sure that he does not eat anything off the floor. 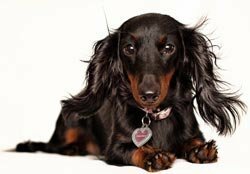 Care for the wool of the breed is not complicated, it is enough to use a special brush if you care for a longhaired or longhaired dachshund, or rub it with a terry towel if you own a smooth-haired dachshund. Wash the dog with a special shampoo, preferably not often. Be sure to bathe the dog before dealing with ticks, fleas and other parasites. From them for dachshunds buy the usual drugs in vetaptek. The food must consist of dry food or only from natural foods. Combining drying and natural food is harmful. If you decide to feed the dachshund with purchased food, then only buy food for super-premium dogs. Otherwise it is better to feed the animal by preparing food yourself. In the end, it can go even cheaper, especially for residents of smaller cities. In addition, you will know what was put in the porridge of the pet. The breed of a dachshund is perfectly trained, if it is persistent and exacting. It is useless to drive the beast around the general course of training, although training alone for new teams will only benefit obedience. The main thing is to teach the pet to such commands as "to me", "next", "to sit", "lie", "place", "fu" and, preferably, give an endurance. Thus, you will learn the most necessary commands that are used in everyday life, and gradually learn to control the dog in difficult situations. Raising fees is unlikely to be difficult for you. These animals quickly realize what the owner wants from them, and therefore they will quickly get used to where to go to the toilet (at home or on the street), understand that there is no floor from the floor, and biting the master's hands is bad. Any problem in behavior is solved. If you entrusted the upbringing of fees to your child, then, if necessary, just come to the kid to help, without worrying that you will miss the upbringing process and the dog will "spoil". From the video about the breed of dog taxes, which you will find a little lower, you can learn more about one of the most common breeds.